Zoe Strauss Celebrates 10 Years! Celebrate the holidays at the PMA! 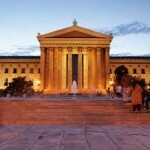 Philadelphia’s Space 1026’s Week of Events, culminating Friday 9 December 2011! 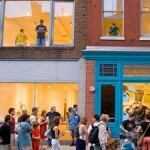 Philadelphia’s Space 1026 is hosting a week’s worth of events leading up to their annual art auction! Space 1026 is, as they explain themselves as a “fourteen-year-old experiment”: it is a member-run gallery collaborating to construct a creative venue. Two Day Pop-Up Art Bookstore! I don’t mean to constantly be plugging the Institute of Contemporary Art, but they just have so many great public programs! And this weekend is no exception: New York City’s KARMA will be hosting a pop-up bookstore in the museum’s Excursus Space. 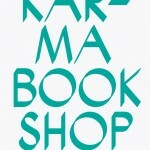 Part bookstore, part gallery, part publisher, KARMA has tons of prints, posters, and books by a whole range of artists including Dash Snow, Richard Prince, and Joseph Beuys!